On Saturday, May 28, 2011, Chafic “Steve” Ezzeddine was found murdered inside his place of business, the Kenvil Diner, located on Route 46 in the Kenvil section of Roxbury Township, New Jersey. As the two year anniversary of the murder approaches, the crime remains unsolved. However, the investigation continues and remains extremely active. While many people are aware of the murder, what remains relatively unknown is the moving story that exists behind the innocent life that was taken two years ago. Steve was a simple, hard-working, family man, who was the family patriarch. He left a rich and fulfilling life in Lebanon over 40 years ago to come to the United States and be with the woman he loved – his wife, Amal. One of six children, Steve completed university in Lebanon and was enjoying the beginnings of a promising career with Middle East Airlines when he met Amal in 1970. Due to religious differences, Amal and Steve’s relationship was forbidden by society and frowned upon by their family and friends. As they secretly continued their relationship, Steve made a courageous decision to leave a settled and successful life in Lebanon and move to the United States in hopes of one day marrying the woman he loved. Before leaving, he told Amal that someday he would send for the woman he loved to come join him in the United States. In 1971, Steve departed Lebanon and located in New Jersey, where he worked at a diner and enrolled in a Masters program to continue to build on his education. Over the course of the next year, Steve spent his days and nights working hard and attending school. He also continued to send weekly letter to Amal. In 1972, Steve finally sent for her to join him in the United States. Although the decision was not supported by family, Amal left Lebanon to be with the man she loved. Although Steve and Amal were reunited, the two struggled. They lived together for a time in a motel room as Steve continued to work and attend school. Despite their hardships, the two married in October 1972. As they began their union, they sought to not only earn a living, but to assimilate into a new society, start a family, make new friends, and become productive members of the community they called home. They continued to deal with the scrutiny of the family they left behind in Lebanon, knowing that their decision to leave their country to be together was brave, but not accepted. Despite these troubles, they knew in their hearts and minds that they made the right decision to be together. Steve and Amal started a family, and eventually had three sons. In 1983, after many years of hard work, the couple purchased the business that became the Kenvil Diner. For years, Steve worked tirelessly at the Diner to provide for his family, consistently working 16 hour days, 7 days a week, up until the day of his passing. Amal was there throughout it all, working countless hours in the Kenvil Diner alongside the love of her life. Together they raised three hard working, successful young men, who struggle daily with the loss of their father. It is through memory and inspiration that they strive to live as honorable a life as he did. The Morris County Prosecutor’s Office Major Crimes Unit and the Roxbury Township Police Department continue to pursue leads in the investigation. There is a $25,000 cash reward for any information leading to an arrest and conviction. The Roxbury Township Police Detective Bureau and the Morris County Prosecutor’s Office are working closely with the Morris County Sheriff’s Office, Morris County Medical Examiner’s Office, New Jersey State Police, New York City Police Department, New York City Medical Examiner’s Office, Federal Bureau of Investigation and the Secret Service by using state-of-the-art forensic technology such as high sensitivity DNA testing, cell phone tracking, video enhancement, and other modern investigative techniques to solve this crime. 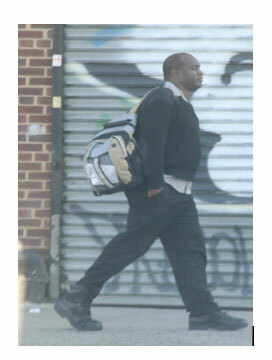 Below is a photograph of a person of interest developed in this investigation. He is described as a black male, wearing light colored shorts, a dark short sleeved shirt, and having a Caribbean accent. He was seen in the immediate area of the Kenvil Diner around the time of the murder. He may be known to travel in a dark green Toyota Camry, model year 1994-1996. It is believed this unidentified individual may frequent the areas of Elizabeth (NJ) and Brooklyn (NY). 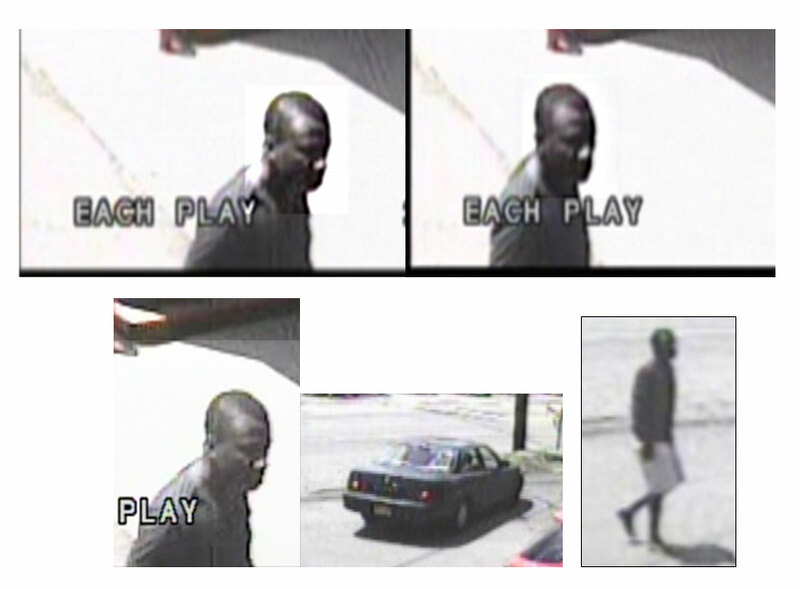 The individual below was also seen in the area of the Kenvil Diner during the time of the homicide. This person is believed to have been with the unidentified male pictured above and has since been identified. Anyone with information is asked to contact the Roxbury Township Police Department Detective Bureau at 973-448-2090 or by emailing [email protected]. A website has also been developed by the Ezzeddine family (www.kenvildiner.com) as a tribute to their loved one. Information can also be provided by contacting the Morris County Prosecutor’s Office at 973-285-6200, or through the Morris County CrimeStoppers website at www.morriscrimestoppers.org. Acting Morris County Prosecutor Fredric M. Knapp announces today that the Honorable Stuart A. Minkowitz, P.J.Cr. sentenced Linda Stimmel-Keay, age 47 of Wayne, New Jersey, to three years probation with a suspended sentence of 364 days in the Morris County Correctional Facility in connection with theft by deception while she was employed as a home health care worker for an elderly person. An audit by the Morris County Prosecutor’s Office Fraud Unit revealed that the defendant was responsible for thefts from accounts the victim had at three financial institutions. The institutions and the amounts of the losses were: Ameriprise Financial $90,835.93; E-Trade $131,400.82; and Lakeland Bank Checking $62,994.58. The total amount of loss established was $285,231.33. On April 16, 2013, the defendant pled guilty to 11 counts of Theft by Deception. Prior to the entry of defendant’s guilty plea, $201,226.66 in restitution was paid to the victim by the defendant. Also, prior to the guilty plea, a consent order was executed by the defendant directing Lakeland Bank to transfer frozen funds it held in the amount of $20,409.13 plus any accrued interest. Judge Minkowitz sentenced the defendant to three years probation with a suspended sentence of 364 days in the Morris County Correctional Facility; ten days in the Sheriff’s Labor Assistance Program; 120 hours of Community Service; surrender of her Nurse Aide’s Certification; and restitution to Ameriprise Financial of $63,595.54. Assistant Prosecutor Elizabeth Legiec represented the State at the sentencing. Acting Morris County Prosecutor Knapp thanks Police Chief Brian Spring and the Pequannock Township Police Department, and the Assistant Prosecutors and Investigators from the Morris County Prosecutor’s Office for the efforts resulting in today’s sentence. Acting Morris County Prosecutor Fredric M. Knapp announces the cause and manner of yesterday’s deaths of Joey Jones, age 63, and John P. Jones, age 74, husband and wife of Long Meadow Road in the Smoke Rise section of Kinnelon, New Jersey. On May 23, 2013, Kinnelon Police responded to the victims’ residence at approximately 8:01 a.m. At that time, the bodies of the deceased were found located inside the residence. The investigation did not reveal any evidence of outside intrusion into the home. A post mortem examination was conducted today by Deputy Morris County Medical Examiner Carlos Fonseca. Pursuant to the results of the examination, Acting Prosecutor Knapp states that the homicide of Joey Jones was caused by a gunshot wound. Acting Prosecutor Knapp further stated that the suicide of John Jones was also caused by a gunshot wound. Detective Thomas Laird of the Morris County Prosecutor’s Office Major Crimes Unit served as lead detective for the investigation. Acting Prosecutor Knapp would like to thank Police Chief John Finkle and the Kinnelon Police Department, Police Chief Edward Card and the Butler Police Department, the Morris County Sheriff’s Office Criminal Investigation Section, the Morris County Medical Examiner’s Office, the Morris County Department of Law and Public Safety, and members of the Major Crimes Unit of the Morris County Prosecutor’s Office who assisted in this matter.